We have chosen, as a community, to support several charities aiding local and international causes to the extent of 12.5% of our annual Offertory Income from the congregation. The St Michael’s Church Giving at 4.5% of Offertory Income supported the following charities in 2018: Wycombe Homeless Connection and Humanitarian Aid Relief Trust both of whom were given £1700. This was on the recommendation of the St Michael’s Outside Giving Committee to the DCC. The St Michael’s Church Giving at 8% of Offertory Income was paid to the PCC Team Ministry to support a larger and longer term charitable commitment to a number of chosen charities for which Sharon International Ministries (SIM) was recommended from our church in particular as worthy of our money, active help and prayers. In 2018 we contributed £5100 as our share to the total of the Beaconsfield Team Outside Giving Charities which, as well as supporting SIM also included donations to MAF, Embrace Syrian Refugee Project, Burtundi Great Lakes Outreach-New Generation. Members of the St Michael’s Outside Giving Committee are also part of the Beaconsfield Team Outside Giving Committee and participate in the decision making process for this element of PCC expenditure. Fuller details of this giving is published annually in the PCC Trustees Report for the year. For more information about the Outside Giving Committee, please contact Tom Johnson. 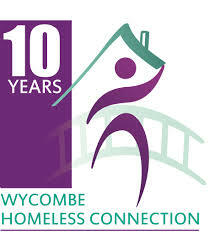 The St Michael’s Church Giving at 4.5% of Offertory Income supported the following charities in 2017: Wycombe Homeless Connection and Humanitarian Aid Relief Trust both of whom were given £1690 in September 2017. This was on the recommendation of the St Michael’s Outside Giving Committee to the DCC. The St Michael’s Church Giving at 8% of Offertory Income was paid to the PCC Team Ministry to support a larger and longer term charitable commitment to a number of chosen charities for which Sharon International Ministries (SIM) was recommended from our church in particular as worthy of our money, active help and prayers. In the previous year we contributed £3544 as our share to the total of the Beaconsfield Team Outside Giving Charities which, as well as supporting SIM also included donations to CMS, Mission Aviation Fellowship, Beaconsfield Advisory Centre, and the Newham Community Renewal Programme. Members of the St Michael’s Outside Giving Committee are also part of the Beaconsfield Team Outside Giving Committee and participate in the decision making process for this element of PCC expenditure. Fuller details of this giving is published annually in the PCC Trustees Report for the year. For more information about the Outside Giving Committee, please contact Tom Johnson. Additionally during the year we have provided support in kind with activities such as services, the loan of hall furniture and availability of hall and church venues for fund raising by Christian Aid, Rennie Grove Hospice, and The Children’s Society among others. Lent Lunch in aid of Christian aid raised £220 in February 2018. St. Michael’s has committed itself to support this Christian organisation. There are two dedicated members of our congregation who help us support Christian Aid through local events throughout the year. They organise various fund raising events each year. The main ones are the collections held in Christian Aid Week and the annual ‘Ploughman’s Lunch in the garden’. Look out for the Iain Rennie Concerts or contact Tom Johnson! Facilities are also provided as a collection point for any One Can Donations. Would you like to Donate to St Michael and All Angels Church? It does not have to be money, we value your time and/or knowledge as much. Please fill in the St Michael’s – Gift Aid Declaration (2018) form.